I'm currently using a pair of RTi150s as mains for my home theater. However, given that I'll have kids in and out of there, I'm limited in their placement. I'd like to wall mount them, but, given their mass and their being so close to the wall, I feel that isn't ideal. Tethering to the wall also presents the latter issue. What if I cut the speaker into their two "halves," mounting the upper two-way section to the wall and standing the lower woofer section away from the wall? I would have to add another panel to the affected section and play with the wiring, but it seems like it could be feasible. Of course, I'd like to get some feedback on this before I begin loading up the Sawzall...thanks to all in advance! I imagine it would sound bad, and it would look bad, and it wouldn't work right. Is it possible? I guess, in theory, yes. but remember the crossover is in the bottom half of the speaker so you would need to either run a bunch of cables up and down your wall, or build another crossover. overall, nice idea, but I don't think its gonna work. Terrible idea, will result in terrible sound and zero value speakers. Buy the right kind of speakers for the job. Is it groundhog day or April fools day ....AGAIN ???? The lower woofers are designed with the whole cabinet volume in the equation. Making that volume smaller will seriously negatively affect the speaker sound. BIGTIME ! you dudes are harsh, the man is asking a serious question. But yes, unfortunately that will NOT work. You would basically need to build two (four) new cabinets with new crossovers, etc. At that point you may as well either 1. buy new (or used) speakers or 2. buy a kit from parts express and build them that way. You can probably get a couple hundred bucks for those speakers on craigslist. Then purchase either something like the rt55i or rt35i or the new S20 bookshelf speakers, and one or two nice little subs. Lots of subs on the used market that would give you good bang for your buck, or if you want new most of us recommend SVS or HSU for subs. For my next act, I will saw a speaker in half. Ooops. I hope/assume this thread is a joke... please let it be a joke. I dunno man, serious questions in audio related topics usually don't include sawing speakers in half.....just sayin'. If a tweeter was too harsh and someone wanted to "turn it around", so that it faces in ward, should we also entertain that as serious questioning ? 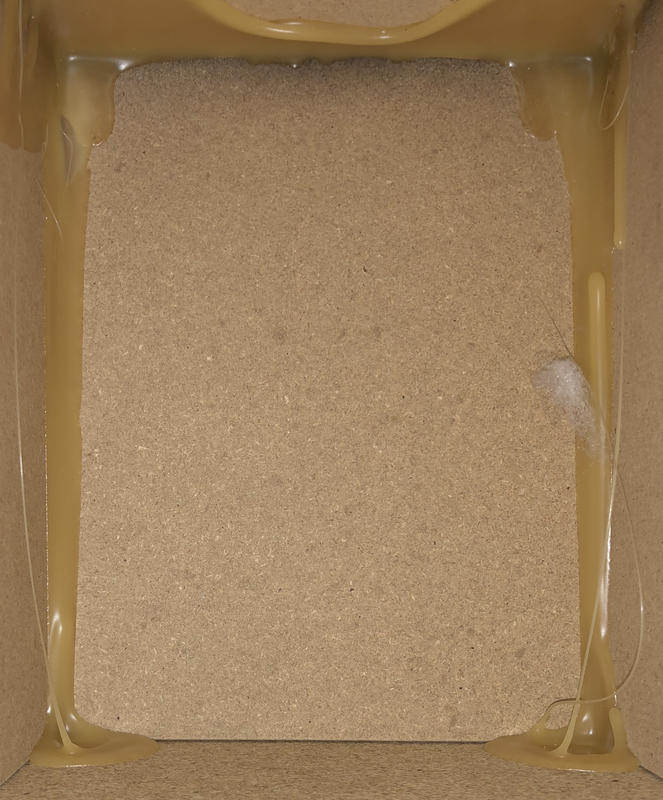 We've had one dude building a subwoofer out of a cardboard box, wanted to know what size and where to put the port hole. You can imagine the responses he got. Anyway, Ron answered his question on the first post and nailed it. dude, I didn't say it was a GOOD question. Good and serious have two different meanings last time I checked. But I am pretty sure he is actually thinking about sawing his speakers in half as a solution to his problem lol..
No, you weren't. Being "harsh" would be to say: "Lock the kids in the root cellar and leave the speakers as they are." I did that once, it didn’t work. Not even kidding though, I wanted more bass response from my speakers and I said to myself “less treble = more bass, right?” Wrong. Dude, you should keep some things under your hat. First allow me to apologize for disappearing. My notifications were turned off, apparently. Not cool. As far as some of the responses go: Yeah, I totally get it. Sometimes there’s little else to say to someone asking a seemingly absurd question. However, I feel it is a fair one, which I hope to explain below. I also feel that getting the appropriate speakers for the job is entirely fair, and this is generally my preferred approach. b) I have sunk a fair bit of coin into this theater to date, and I tend toward being resourceful; wiring issues, aesthetics, and resale are not a pressing issue presently. With regard to selling the speakers: I am perfectly aware of how to effect such transactions, should they be necessary. Also, to anyone who is not familiar with the model, and are simply assuming it would be a dumb idea, or otherwise feel this may be indicative of a federal or spiritual holiday, I would only ask that you support your assertions with hypotheticals, data, or empirical evidence (except for you, tweeter boy — in lieu of that, I would ask, with all due respect, that you kindly STFU. To those of you remaining that might have something of additional substance to proffer, I welcome your insights with open armatures. (I’m not insinuating that that hasn’t yet happened, but I feel even the valid responses invite a more robust basis of reasoning.) Should the idea prove unfeasible, unreasonable, or unbelievable as a result of our discourse, I will by all means conclude the rational thing to do is rule it out and proceed thusly. With regard to selling the speakers: I am perfectly aware of how to effect such transactions, should they be necessary. Also, to anyone who is not familiar with the model, and are simply assuming it would be a dumb idea, or otherwise feel this may be indicative of a federal or spiritual holiday, I would only ask that you support your assertions with hypotheticals, data, or empirical evidence (except for you, tweeter boy ) — in lieu of that, I would ask, with all due respect, that you kindly STFU. To those of you remaining that might have something of additional substance to proffer, I welcome your insights with open arms. (I’m not insinuating that that hasn’t yet happened, but I feel even the valid responses invite a more robust basis of reasoning.) Should the idea prove unfeasible, unreasonable, or unbelievable as a result of our discourse, I will by all means conclude the rational thing to do is rule it out and proceed thusly. Sorry I didn’t mean to offend you with my post about the tweeter, I was saying in response to someone else that I did actually try that and it didn’t work. Now, if you don’t mind, I believe I have some explanations for why it won’t work (not 100% sure they are all correct, but I know at least a few of them are, so bear with me). 1. Even though you aren’t changing the internal volume of the speaker, the front baffle does make a difference to the way that the speaker responds in its environment, as well as the sides. The bigger the speaker is, the more area for reflection. 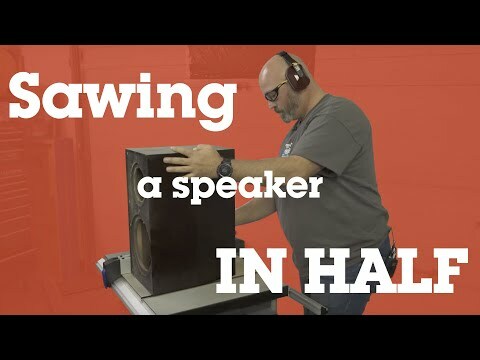 Because of this, they make adjustments to the crossover of the speaker from the bookshelf version the make up for it.Remove that area, and there will most likely be wholes and peaks in the frequency response, and it generally won’t sound good. I apparently only had one explanation, or maybe I forgot the other ones whilst typing? If I think of them, I will come back. Now, that’s somwthing I can chew on. Thank you. I should go bury my head in the sand, in shame. I think I have more than enough reasons to abort, but by all means feel free to continue to disclose the true scale of the horror of my reasoning. Do kids really climb on tower speakers? To the point where they fall over on top of them and they get crushed and seriously injured? I'm honestly just curious, serious question as I don't have kids. It’ll save you a lot of confusion when people talk about where they got the black paint for their DIY projects. I didn’t have kids for a long time. They never made much sense to me, and the only way I was certain they weren’t some sort of practical joke was my recollection of being one myself. And, yes, they will take any and every opportunity to die some kind of horrible death. You know that guy who is always next to the president, looking around like he’s hearing things? That’s been me, 2/3 of every day, for the last 3.58 years. Just think of them as really smart, obnoxious puppies. Treats and pops in the rear work really well for behavior modification. I have four, and I have never had an incident with any of my equipment (other than toys in the subwoofer port lol but that’s just too tempting). And I’m not nearly as mean as @steveinaz or @tonyb! Keep your speakers, beat your children, problem solved!!! First thought when I read the title and initial post - that's a dumb idea! Of course, I have no empirical evidence to support that thought; just my normally exceedingly good intuition. Plus, I didn't feel like thinking too hard about it either. So, go ahead and cut them, if you think you can make it work. Then, pics or it didn't happen.